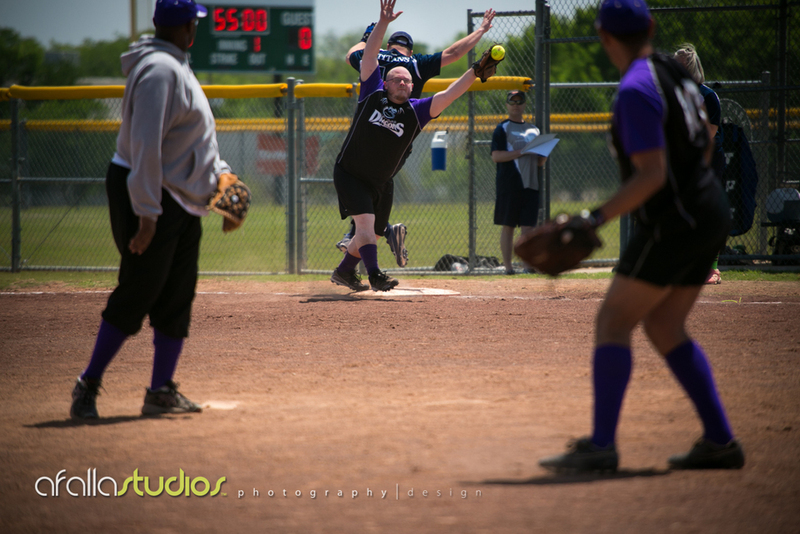 I had the opportunity to photograph, for the first time, the Dallas Dragons softball team- a team that I'm sponsoring and doing some sports photography for. 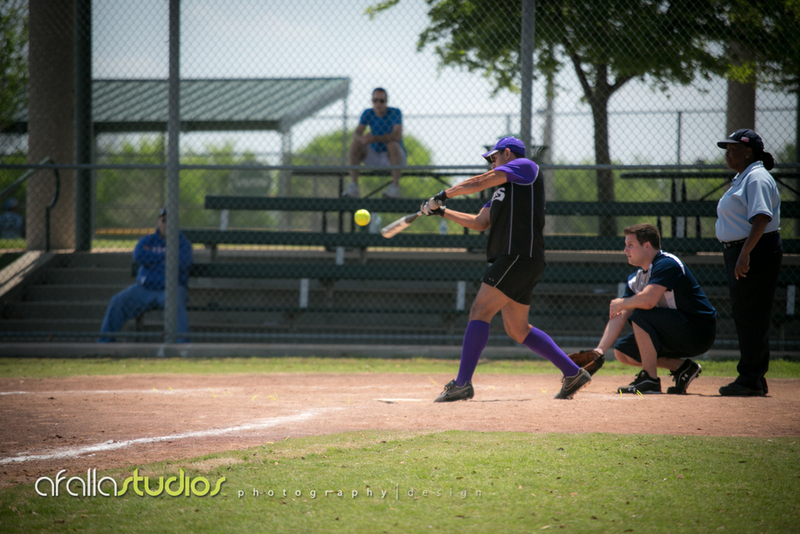 This is my first time photographing softball and it was very fun. I think the nice part was to see a few of my friends who I knew from the local Dallas Independent Volleyball League (DIVA). 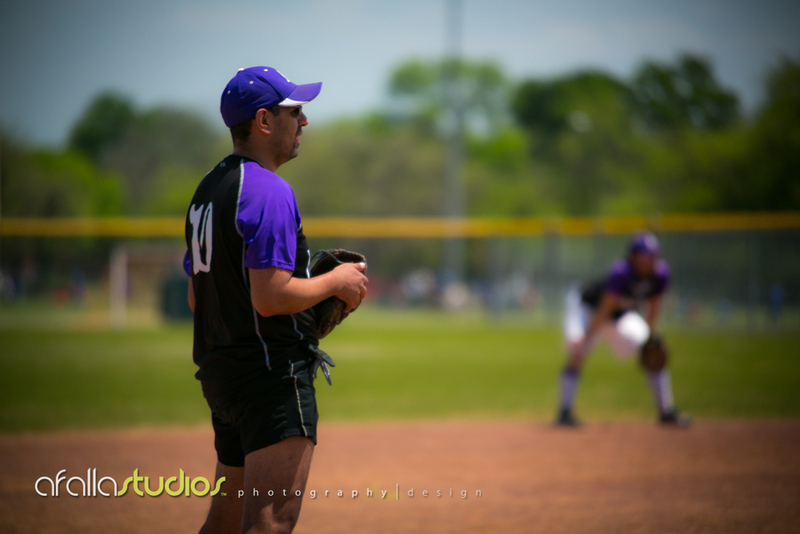 Great to see familiar faces and to photograph some exciting softball. Also, do not crop or alter in any way per federal copyright laws. 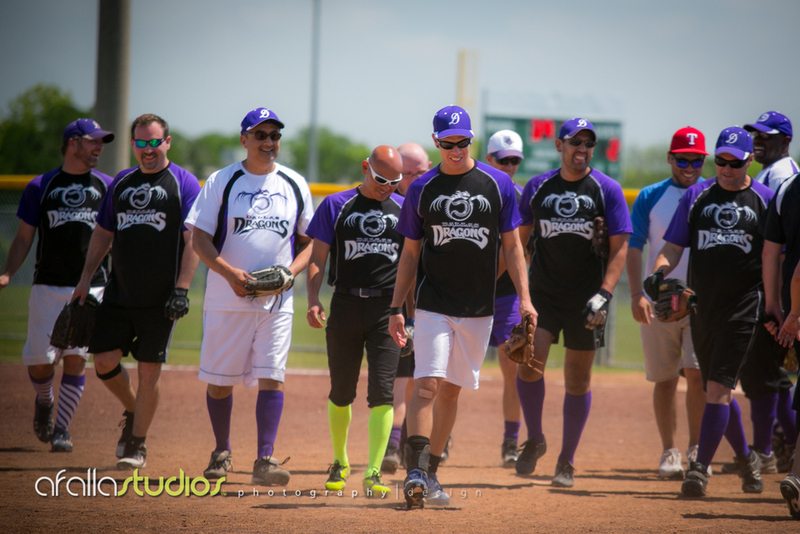 The Dallas Dragons enjoying the taste of victory win over the Titans. 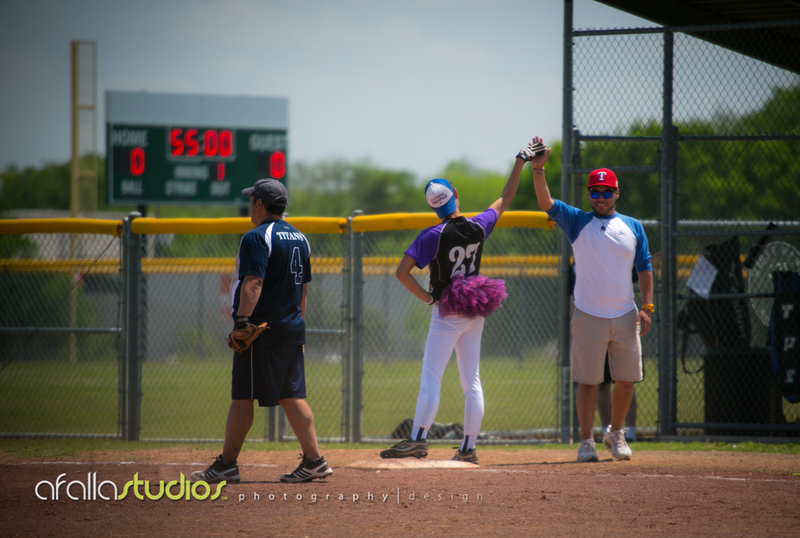 A high five from coach Selso to tutu wearing player, Jonah. 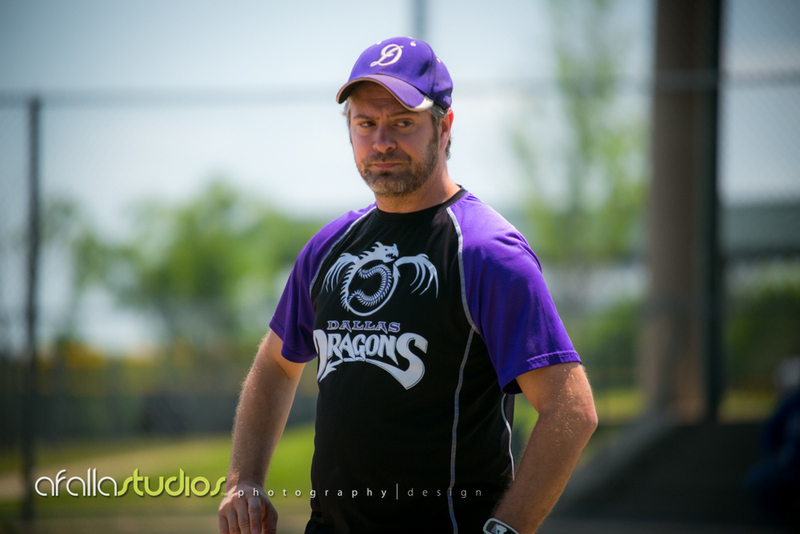 Dallas Dragons softball player, Chris, looking a little concerned. Richard waiting for the pitch and hit. Richard bending over on his knees....or just trying to eat dirt. You decide. Jarrod looking a little bored in the outfield. 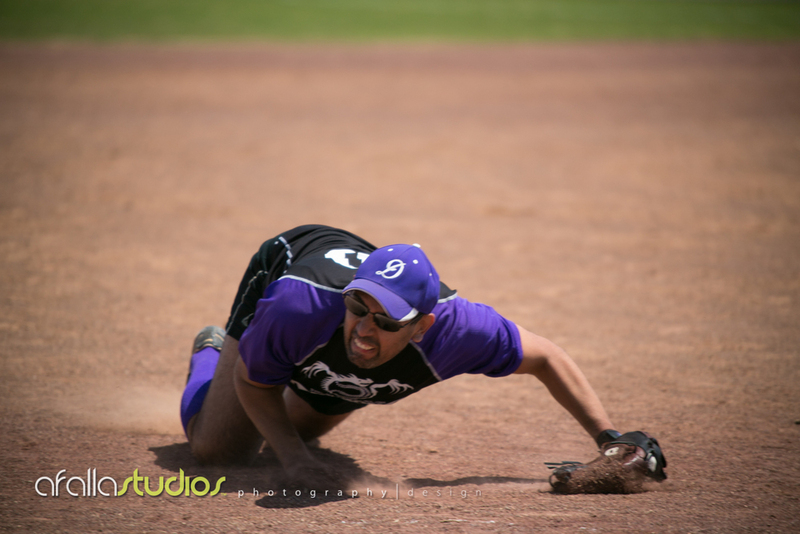 Great shot of first base catching the ball for an out. 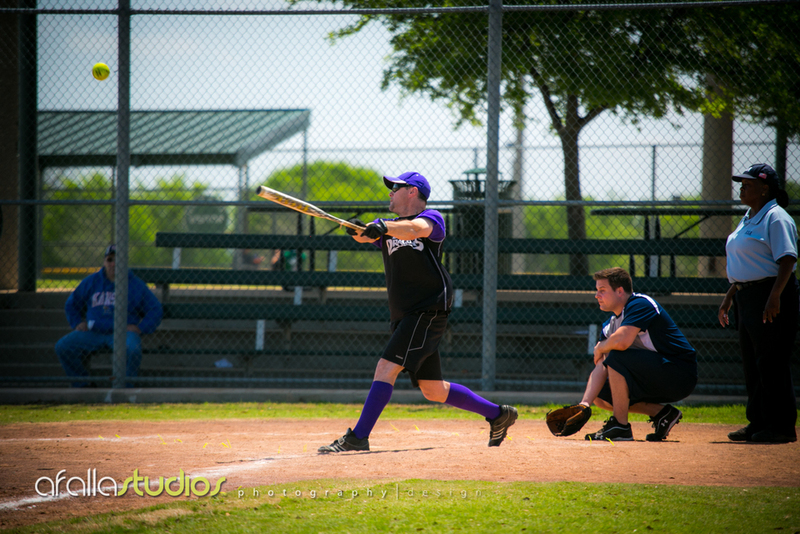 Richard striking the ball for a hit to center field. 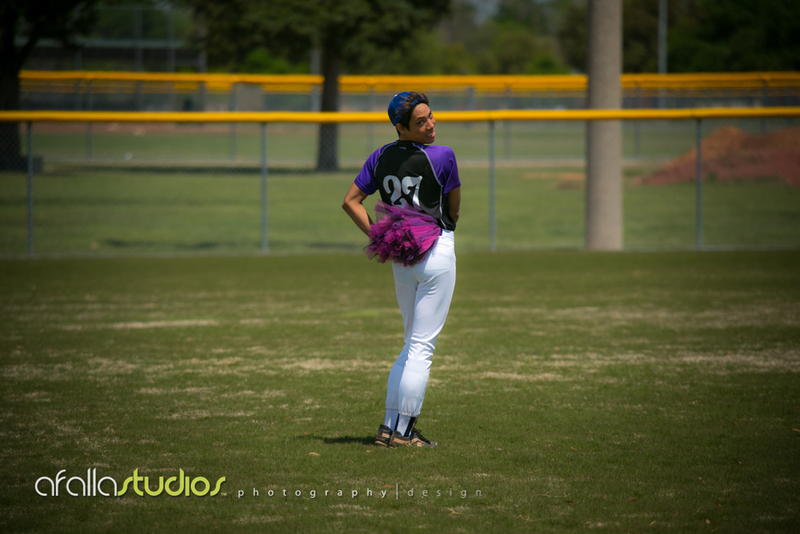 Jonah sporting the purple tutu on the field....WERQ! 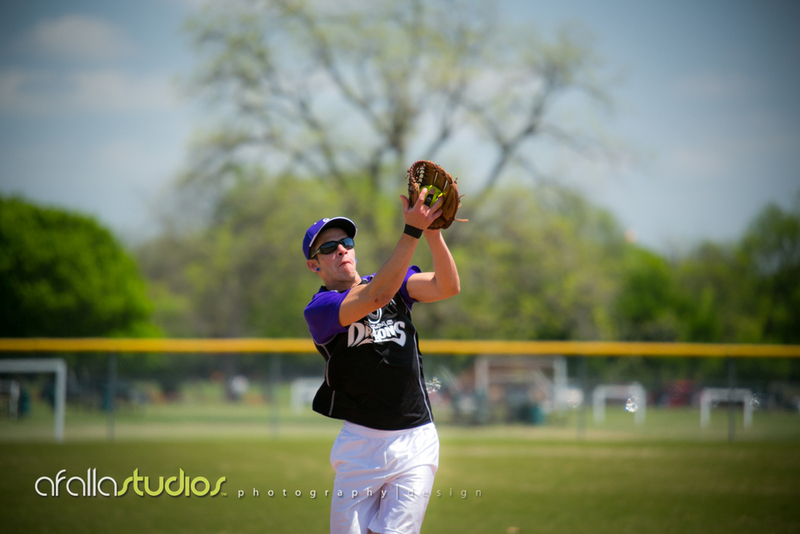 Steven making an amazing catch.